Having grown up in London but moving to Guernsey to complete his Secondary Education at St Sampson’s High School, Paul went on to do his electrical apprenticeship locally which he completed in 2001. Since then Paul has worked for several local companies on both domestic and commercial projects gaining extensive knowledge in the industry along the way. His experience of working on large building sites has given him knowledge of multiple disciplines, allowing him to manage projects involving mechanical, electrical, fire and security elements, making him an invaluable asset to the C8 team. 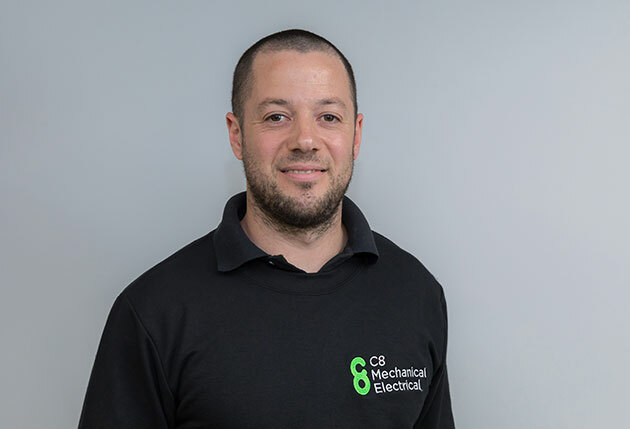 Paul also has his testing and inspection qualifications and is C8’s electrical testing officer, ensuring our high-quality standards are always met. When not managing sites, Paul enjoys Scuba Diving, in which he is fully qualified, this has helped him become very self-disciplined which is clearly reflected in his work.